The Institute has through Heiko Kosta partnered with US Grain Council in delivering a successful training. 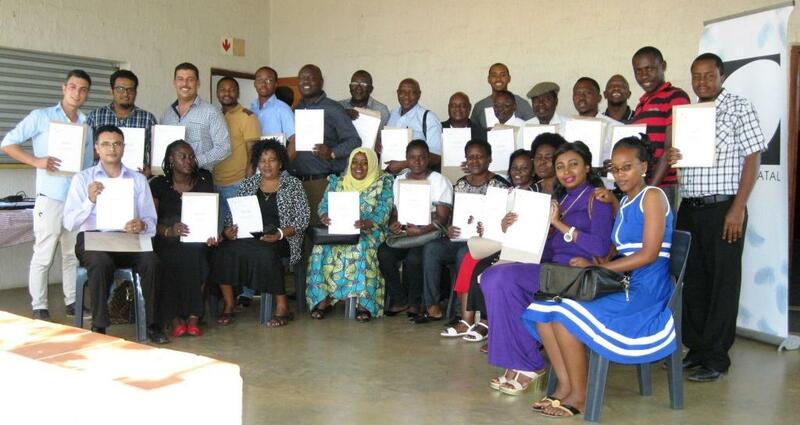 23 farmers from Tanzania came down to our shores in Pietermaritzburg to attend the Broiler Course, they spent a week at the Institute and were so excited to have been with the Institute. “The course is interesting, teach the relevant issues happening in the poultry industry in the world. “I like it and I advise but I think one week is not enough because I want to learn more and more things about chicken. I like to say thanks very much Mr Ndumiso”. “I take this oppotunity to thank you all staf of KZNPI for good heart you have shown to us. We lived like brothers and sister during our course”. A suprize birthday party for Mr Mtoro Mketo was organised, he celebrated his 60th birthday on the 29th, Happy belated birthday Mtoro!!! Thanks to Modesta and everyone for this party. We would like to thanks everyone who participated in this successful course and we hope to see you again in the near future.